I coach all levels of mountain bike, cyclo cross, road and time trial riders throughout The world. My prices are very reasonable and I enjoy seeing riders develop and enjoy the sport. I offer one to one coaching through weekly plans or general advice. I offer bike fitting and seminars for Triathlon or Cycle Clubs.I offer sports massage for all athletes and kinesiology taping. I am a Licensed British Cycling level 3 MTB, Road and Time Trial Coach. Level 2 Road, time trial, Cyclo Cross coach. I also lead MTB and road rides and work to develop riders road craft as a National Standards Instructor. 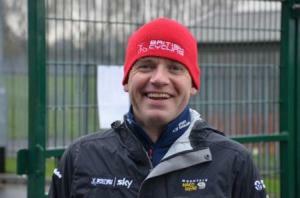 I work part time for British Cycling delivering their Coach Education Programme. Success. Coach Mark Grange has been notified of your message.